Without treatment, addiction can take everything. Your health, your finances, your future. Sobriety Home might be the right option for anyone in the Ottawa region looking for addiction treatment that makes a difference. Only two hours from Ottawa, Sobriety Home Drug Rehab Centre is a comfortable treatment facility that specializes in treatment tailored to the individual. Set in the countryside inside a charming river valley, Sobriety Home Drug Rehab provides the needed isolation and focus recovery requires. At the same time it’s accessible to visiting friends, relatives and supporters. People often appreciate the sense of privacy and focus and new environment provides. Sobriety Home combines the perfect balance of comfort with the necessary resources and structure for change and healing and treatment. Sobriety Home Drug Rehab is a non 12-step program with a medical-psychological approach. Medical detox is offered on site to ease withdrawal symptoms commonly associated with the abrupt cessation of many drugs. Examples of core therapy include Cognitive Behavioural Therapy, Psychodynamic Therapy, and others. These therapeutic approaches have proven, effective results. The centre also strives to keep up to date with latest evolving research on addiction and wellness. Alternative therapies are also used to strengthen recovery such as yoga, meditation, art therapy and massage. It’s the full package in exactly the right place at would could be the right time. Addiction is a tricky, ongoing and often dangerous issue. Acting quickly and directly can get to the root of the problem before it gets worse or lethal. While it’s sometimes hard to gauge the degree of a problem, taking stock and trying to get answers and guidance is often the most cautious approach. If you’re dealing with a serious challenge, make the call. 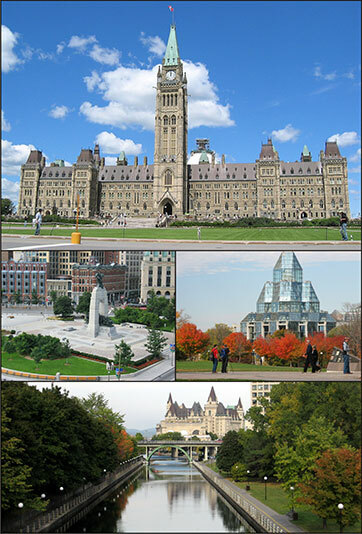 While famous for it’s pristine image as the nation’s capital, Ottawa certainly has it’s issues. 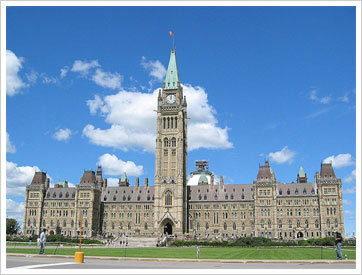 Ottawa has it’s share of drug and alcohol problems as well as risky substance abuse. Not immune to the addiction trends sweeping the world, they are sometimes eclipsed by Ottawa’s famous persona. Addiction issues tend to be similar wherever they are, requiring direct treatment to avoid further risk and danger. A study in 2009 revealed that drugs and alcohol were making considerable headway in Ottawa schools. Approximately half of all students who currently use alcohol had their first drink before grade 7. Ottawa high school students primarily use cannabis; yet other drugs are making their way into school hallways, including hallucinogens (inhalants, LSD, PCP, or ecstasy), methamphetamines, cocaine, glues, crack cocaine, heroin, ice, and the non-medicinal use of stimulants, barbiturates, and tranquilizers. In August of 2014, a concerned group demonstrated placing 32 pairs of shoes on a sidewalk, claiming 32 people had died needlessly of drug overdoses that year alone. Their point? That the needless suffering and death due to substance abuse and addiction is avoidable. From what many addiction specialists see, this is absolutely the case. Something can be done about addiction. Whether it's a drug rehab our counselling addiction usually doesn’t go away on its own. Whether it’s helping yourself or a loved one, if you’re in crisis in Ottawa, the time to act may be now. Note: District 28 includes Arnprior and West Ottawa while District 29 includes Gatineau, Quebec, Metcalfe, East Ottawa and Winchester for alcohol rehab. Note: meetings for Aylmer, Brockville, Carleton Place, Carp, Cobden, Gloucester, Hawkesbury, Hull, Merrickville, Metcalfe, Morrisburg, Nepean, Ottawa, Pakenham, Perth, Smiths Falls, Vanier for Alcohol Rehab. Note: meetings for Barrie, Brampton, Burlington, Georgetown, Hamilton, Kingston, Kitchener, London, Mississauga, Niagara Falls, Orangeville, Oshawa, St. Catharines, Toronto, Trenton and Windsor for Drug Rehab. Note: meetings for Brockville, Cantley, Carleton Place, Cornwall, Ottawa, Pembroke, Renfrew, Smith Falls for Drug Rehab. Sandy Hill Community Health Centre, Inc. Note: Outpatient counselling for youth and adults for addiction and drug rehab centres, including methadone maintenance counselling and support. Available in French and Italian. Note: assessment, outpatient counselling, intensive outpatient counselling (multi-hour sessions on a daily basis typically for a week in duration) in both French and English for Drug Rehab Centres. Also has assessment and outpatient counselling for pregnant women and/or mothers with children 6 months of age or younger. Note: (Treatment Readiness for Drug Rehab Centres) Male 18 to 99 years of age. Program restricted to male federal offenders. Note: assessment and outpatient counselling for adults 18 to 99 years of age. Services offered in French only. Note: assessment and outpatient counselling for youth 14 to 18 years of age for Drug Rehab Centres. This program is French only. Note: assessment and aftercare group counselling for adult men only (18 and older) . Accepts referrals from the courts and correctional facilities for Drug And Alcohol Rehab Centres. Note: assessment and outpatient counselling for drug rehab centres youth and adults, including affected family members and significant others. Note: assessment and outpatient counselling for youth and adults for drug rehab centres. Also has psychiatric treatment and a program for families. Note: Has a program for male adults. Also has a program for adults offered by one full time employee. Available in french. Note: outpatient counselling for youth and adults for drug and alcohol rehab centres, including affected family members of all ages. Note: Staff are not medically trained so clients must be sufficiently stable prior to admission. Contact this program to determine suitability. 20bed co-ed withdrawal centre for 16 years and older (15 male, 5 female). Note: Co-ed 12-bed unit in psychiatric hospital. Clients are monitored by medically trained staff. Note: a private outpatient methadone clinic. Call ahead for hours of operation. The College of Physicians & Surgeons of Ontario maintains the Methadone Registry – a listing of doctors approved to prescribe methadone in your community. Please call (416) 967-2600 ext. 661 or e-mail methadoneinfo@cpso.on.ca. Most people will struggle with emotional issues, difficult relationships, self esteem, loss or a variety of other stressors at some point in their lives. Learning skills to deal with these effectively can make a huge difference to how much enjoyment and satisfaction you can get out of life. It is important to me to provide an opportunity for people to be able to explore their concerns safely and without judgement. I firmly believe that everyone has the capacity to improve their emotional health and sense of well being. I have over 7 years experience in the addiction field and have worked with many people with substance abuse, eating disorders, anxiety, depression, low self esteem, and trauma issues. I prefer evidence based treatments including mindfulness meditation and Cognitive Behavioral Therapy (CBT). I have also been trained in couples counselling. Counselling can be thought of as a supportive conversation focused on providing healing and resolution to all areas of life. Together we will focus on providing you with a unique alternative to exploring what you want to change in your life. I have over 8 years of experience working in Mental Health and Addiction and have over 15 years of study in Spirituality and Healing. I can help you answer the questions you have always wanted answers to. My professional experience includes working with PTSD, DID, depression, anxiety, general mental health issues, including addiction and trauma. My approach encourages growth and fulfillment. I look forward to being part of this transformative process with you.